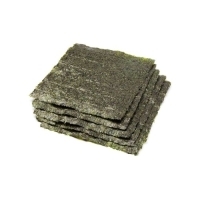 Item #0436: It isn't always easy to find nori sheets that aren't toasted. These nori sheets are organic, 100% raw, untoasted and high quality. They have not been heated above 105 degrees in processing and are perfect for raw/live food eaters and general health-seekers alike. 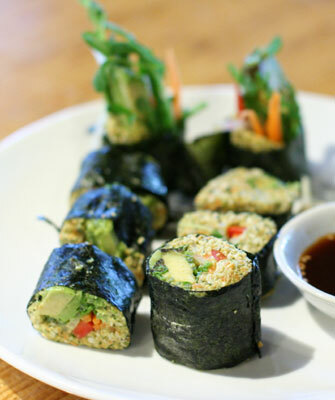 They are great for making nori rolls with fresh vegetables, sprouts and nut patés, for making dehydrated treats, for snipping into salads, or for snacking on as-is. Ingredients: 100% raw, organic nori. NO additives, fillers, etc.